Eros, God of Love, shoots an arrow into the eye of the Lover, who wears a tunic with belted purse. Roman de la Rose. France (Paris), between 1340 and 1350. Morgan Library, MS M.48, fol. 14r. gleng, f.n: adornment, ornamentation, glory; splendour (in appearance), pomp; showiness (neg); worldly/earthly splendour. Image of Thomas Becket from Medievalists.net. Anglo-Saxon necklace at the British Museum. Photo by Kotomi Creations (some rights reserved). Image from a Medievalist.net article on medieval shoes. 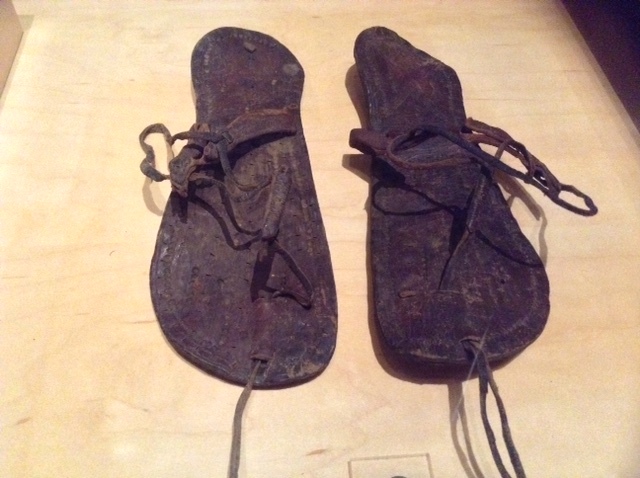 They are leather sandals used in early medieval Egypt sometime between 400 and 600 AD. 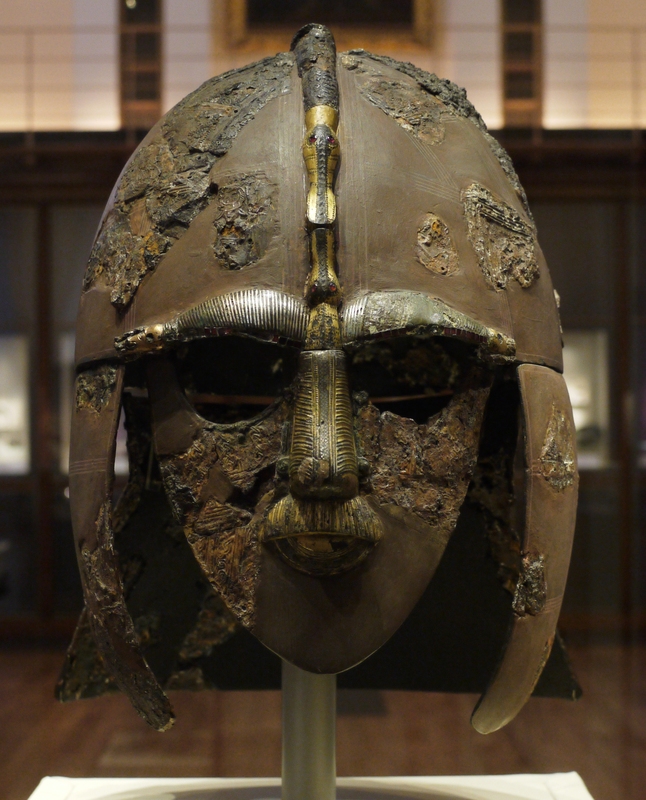 Image by Wikipedia user Geni: The Sutton Hoo helmet, now at the British Museum.